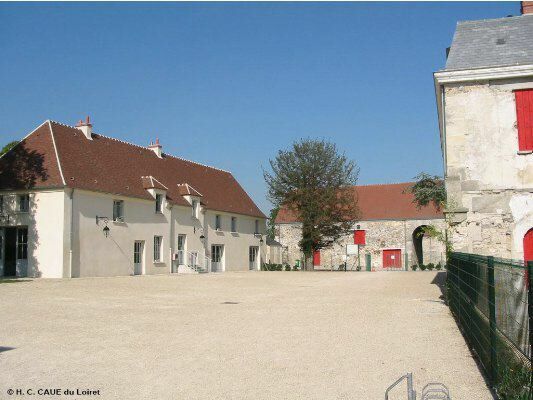 Address : 93290 TREMBLAY-EN-FRANCE SEINE-SAINT-DENIS (FRANCE). 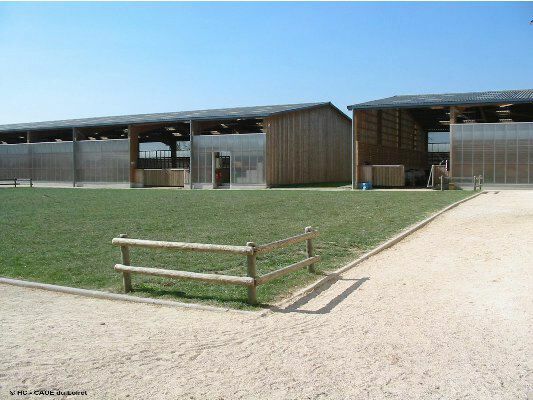 This riding complex, situated in the grounds of the Château Bleu, has as its main vocation initiation courses in horse riding for schoolchildren. 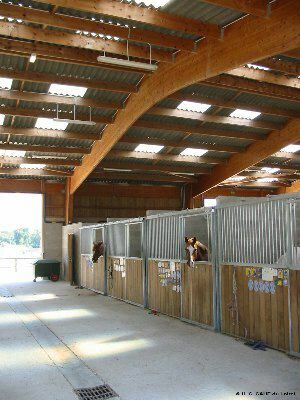 It is composed of the external riding areas, four covered training rings of different sizes, reception buildings (administration, teaching spaces....) and a support building housing accommodation for repairs, maintenance and storage. 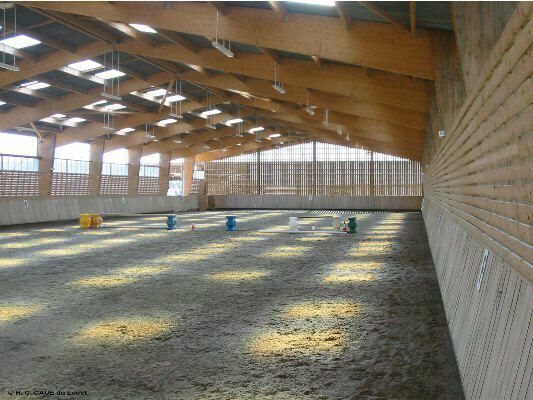 The training rings and the stables (50 boxes) are arranged rationally, grouped around the circulation space and relaxation areas, in close proximity to the training areas. 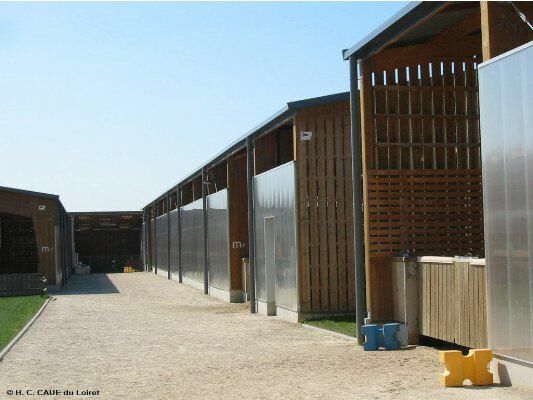 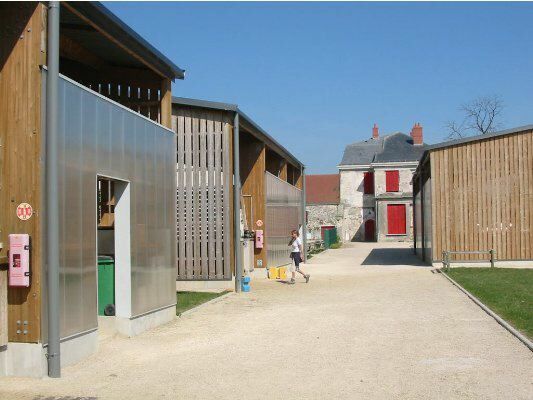 The buildings are constructed using a glued, laminated timber structure finished with fibrous cement panels and timber panelling with polycarbonate elements.